Russian champion Fakel Gazproma Orenburg is ready to play its 5th consecutive Men’s ECL final, after new 3:1 victory against the 2008 MECL winner Wienviertel Niederosterreich. Today’s semi-final rematch, held in Orenburg, just confirmed superiority of the top seed who will fight for its third title against the winner of Borussia – Charleroi`s clash (second leg starts tomorrow at 13h00, German team had 3:1 advantage). 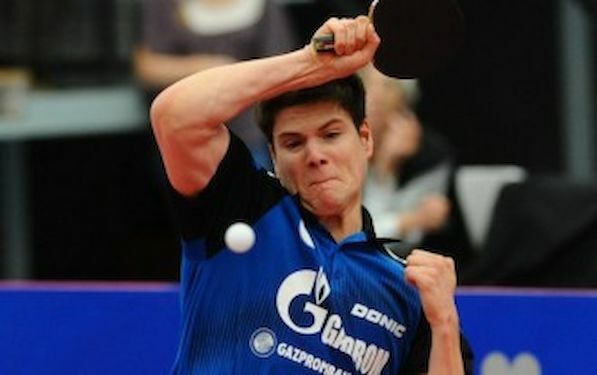 The rematch was a good copy of the first game played three weeks ago in Wolkersdorf: Dimitrij OVTCHAROV again beat both, HOU Yingchao and Stefan FEGERL, Vladimir SAMSONOV overcame Chinese, while Daniel HABESOHN got unique point for Austrian side, beating Alexey SMIRNOV. It could say that the only significant difference was that the best ranked MECL player OVTCHAROV did his job much easier than in first leg. It should be recalled that he saved four match balls in two encounters in Austria.